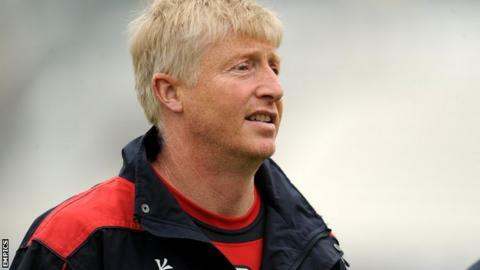 Lancashire seam bowler Glen Chapple is uncertain whether he will carry on playing next season when he will be 42. The former Red Rose captain played just five times as Lancashire won promotion from Division Two of the County Championship and the T20 Blast title. Chapple, who led the club for a season after Peter Moores' exit in 2014, has assisted director of cricket Ashley Giles with coaching duties this summer. "At my age I have no idea if I'm honest," he told BBC Radio Lancashire. "If I feel the same as I did at the start of this season and it was felt it was appropriate to be available to play then maybe, yeah. "I'm not going to announce a retirement or anything, but six months is a long time and my job is to predominantly coach and that's what I'm enjoying."